"I live in and I am committed to supporting our local community. I find great satisfaction in helping others succeed and the net effect is a positive contribution to economic development in our region." Ron joined the RCC SBDC in September of 2009 as the Business Management Professional coordinating the Small Business Management Program. He assumed his current position of Director in April 2013. Ron is a graduate of Grants Pass High School. Following graduation Ron attended Stanford University earning a B.S. in Civil Engineering. Professionally, he has over twenty-five years of industry experience with an emphasis in information management, process improvement, team management, and leadership. Ron’s main focus is to oversee the ongoing programs and services of RCC’s Small Business Development Center, and to serve as RCC’s SBDC general ambassador to the local business community and our many economic development partners. 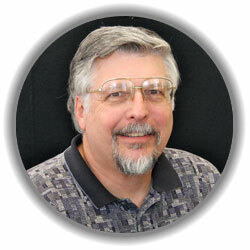 Ron lives in Grants Pass with his wife Margy and enjoys time spent with their young grandson. He is an amateur bee keeper, who also loves salmon and surf fishing on the Oregon Coast.